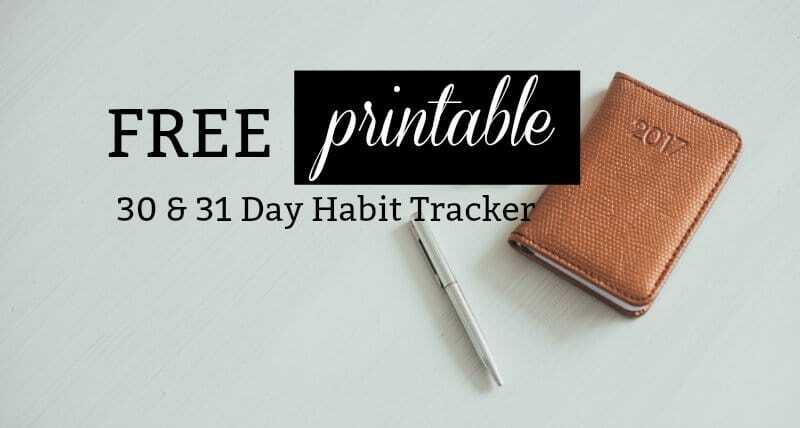 Snag this free printable A5 Habit Tracker, including both a 30 & 31 Day Version. 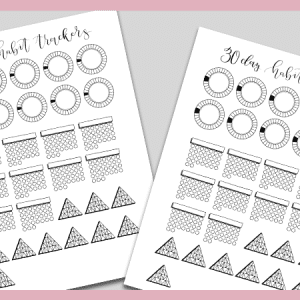 I hope you guys are ready for the mass publishing of freebies that are about to happen on The Petite Planner. I have been racking my brain and asking the community what it is that people want. And I’m going to answer those requests over the next couple weeks with lots of free bullet journal printables. I’m not the only one offering up lots of freebies. 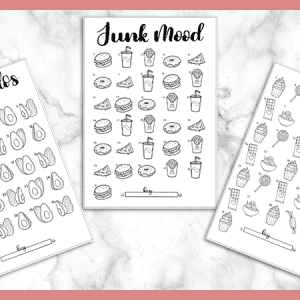 You can check out this post with 27 Free Bullet Journal Printables for 2018. Be sure to check it out for freebie offered by other talented bloggers. 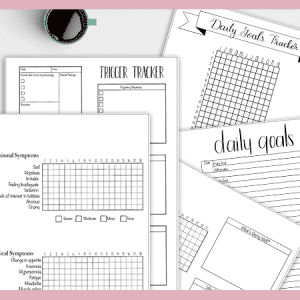 You can also head to the Printables Section of this website to see previous posts and free printables I’ve shared. This download includes 1 PDF file with two pages. 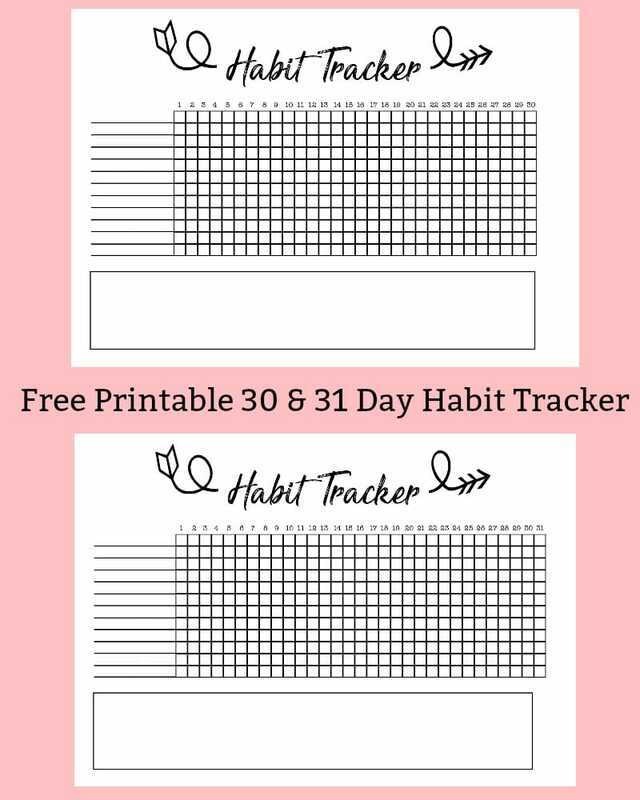 Each page contains the same habit tracker design, but one is 30 days and the other is 31 days. These have a really fun arrow design and brush lettered header. I always set my printer to the best quality print first. to make perfectly straight cuts. to secure your page into place. I’m working hard to provide free printables that you guys want. So, if there is something you want created, please leave me a comment. I do digital designs and I’m willing to do hand-drawn designs as well. I have tried several times to subscribe to the VIP resource library and nothing happens. Once I got a message saying I had tried too many times, but I’ve never gotten an email saying I am subscribed. Can you help me? Hi Danielle, is it by chance going to your spam folder? 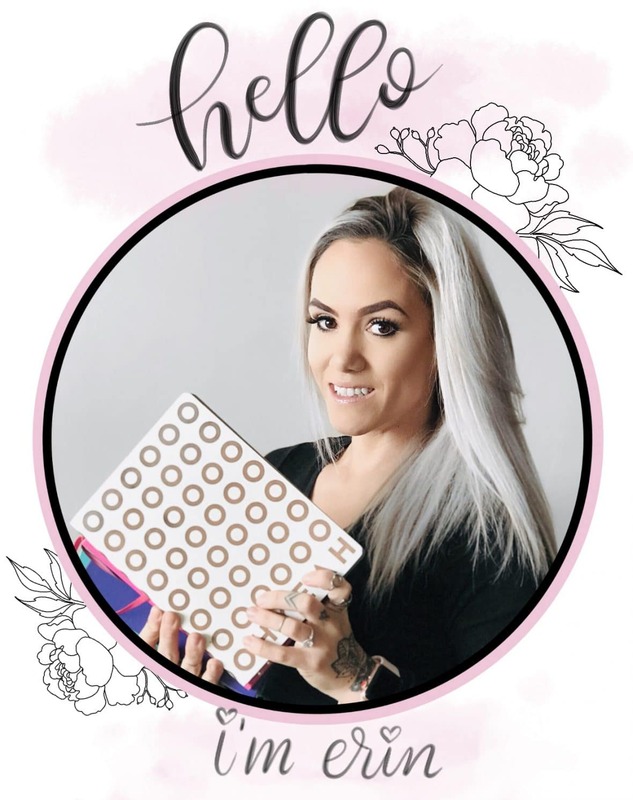 You can send me an email at hello@thepetiteplanner.com and I can manually subscribe you. Then you will get the welcome email with password. But if you have Gmail, it often puts emails from blog subscriptions in the promotions folder or sometimes even in junk mail.